PSRM and DPM have many common interests in the social field. This declaration was made by Igor Dodon after the discussion between PSRM and DPM. "We found out that DPM and PSRM have common social targets. 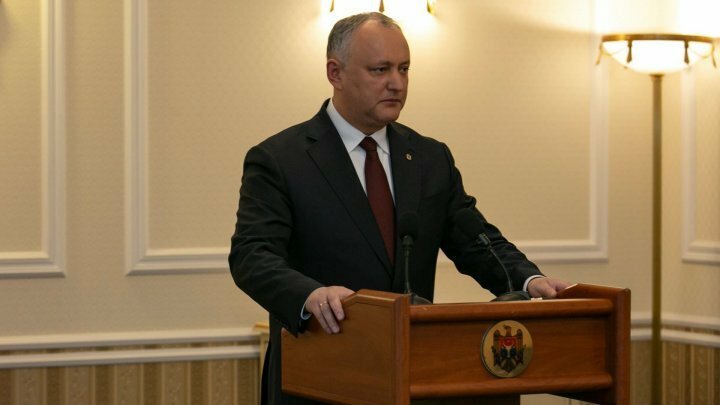 Each of the parties will talk with its members and will decide what are they going to do", said Igor Dodon, the President of the country. "The Presidency will no longer get involved in the further activity of the parties." PUBLIKA.MD reminds that PAS and PPDA leaders didn't attend these discussion.